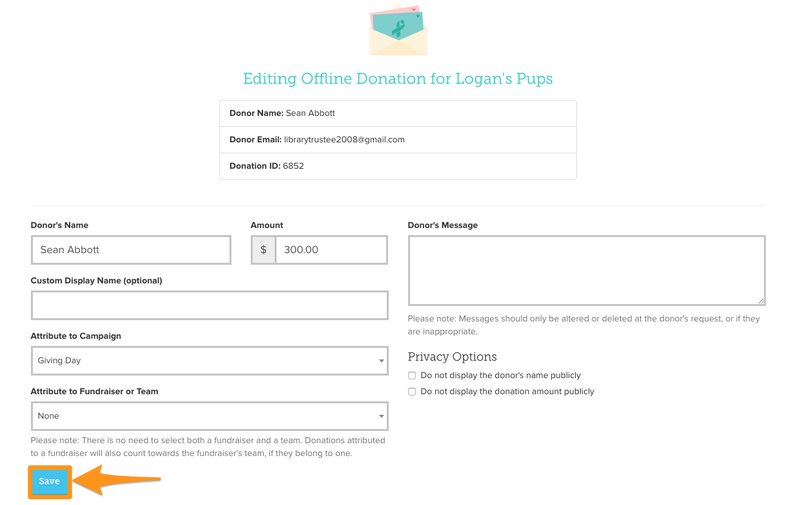 How do I edit an offline donation? Click on the "Offline Donations" tab to view all of your cash or check donations entered on GiveGab. Select the pencil icon next to the donation you would like to edit. 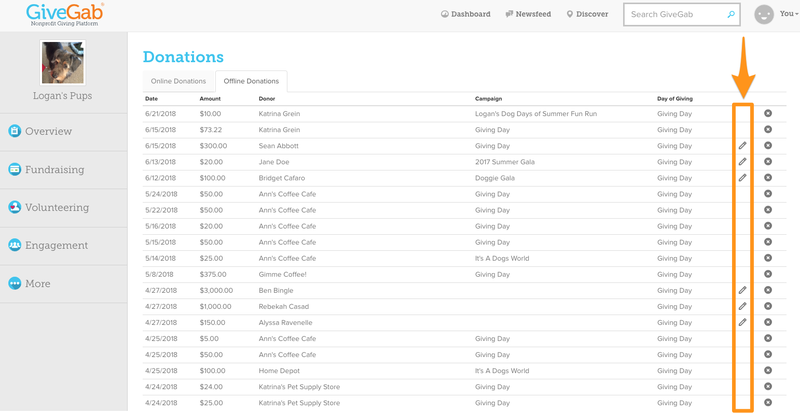 From this form you can update the donor name, which campaign and/or personal fundraiser or team receives the donation credit, the donor's optional message, and the option to make the donor's name or gift amount hidden. Once you've updated the details of the offline donation, click "Save" for those changes to be automatically reflected.